It’s no mystery that we live in a culture driven by appearance. Even if we know something is bad for us, if it will help us look good we can’t seem to turn it down. As the drive for visual perfection continues, young men and women are constantly told that they are not good enough. The battle begins in childhood, with elementary school children reporting that they feel fat or wish they looked a different way. The National Association for Anorexia Nervosa and Associated Disorders recently reported “a dramatic increase in hospitalizations for eating disorders in children 12 and under.” Sadly “between 1999 and 2006, hospitalizations rose 119 percent.” This didn’t happen overnight and it won’t be solved overnight. Still, there are things parents can do to encourage children from a young age to young adulthood to value themselves and to find that value in places other than their appearance. Focus on Character Not Curves Be intentional about complimenting character. Take the focus off the body and put it on the brain. Encourage and celebrate academic success. Spend time serving others instead of focusing on self. Invest in your children’s character development more than their physical development and they will naturally learn what is more important. Make Food Friendly Do not use food as a reward, punishment or incentive. This is a tough one, but if you can put it into practice, you just might save yourself and your child a lot of hurt. Attaching food to success or failure adds emotions that can lead to disordered eating. Try to avoid taking away food as a punishment or implementing consequences for not “clearing the plate” at dinner. Lose the Scale One of the best things you can do for your teen, and probably for yourself, is to get rid of your scale. Unless you have orders from a doctor to track your weight, it probably isn’t necessary to weigh yourself on a regular basis. If you do choose to keep one around, put it away when not in use. Avoid weighing yourself in front of your kids or letting them weigh themselves. Strive for Health Not a Number In the same tone of ditching the scale; we really encourage you to strive for a healthy lifestyle. Make an effort to maintain a healthy and balanced diet. As your schedule and budget allows, make meals from scratch using whole foods. Keep healthy snack options in the home and avoid processed foods. Be active, not just through exercise, but also through spending time in activities with the whole family. Love Yourself You are your child’s first teacher and you have a lot of power in shaping their body image and self-esteem. Choose to make yourself an example of a healthy lifestyle and positive body image. Silence the “fat talk” and be vocal about things you like about your body. Put the focus on talent and strength. Also be mindful of how you speak about other people’s appearance. In employing this tip, you just might find you are feeling better about yourself too. Put Your Guard Up Mainstream media, youth programming included, is full of body shaming. One study reviewed 134 episodes of popular Disney and Nickelodeon shows and determined that an alarming 87 percent of the female characters ages 10-17 were underweight. Take steps to guard your children from negative body image in the media. Ditch the beauty magazines. Skip the weight loss commercials and don’t choose programs that show weight loss as a path to happiness or portray being underweight as normal or healthy. Even if it doesn’t develop into a diagnosed eating disorder, a negative body image can impact development. 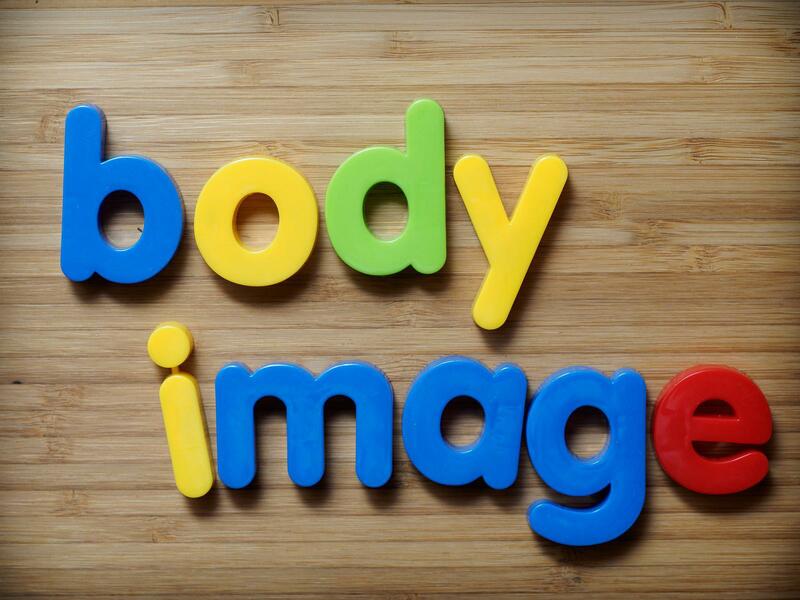 Research from Common Sense Media and others shows that body image is linked to several factors of both social and emotional well-being. So as difficult as it may be, take time to talk to your teens about the issue. And take a stand, unpopular or not, to protect them from influences that impact their body image in a negative way.